People there don't watch Fox News to know what to think; they already know what they think, and they avoid news channels that insult their intelligence and core beliefs. Yes, Fox News is an echo chamber for the right, but no more than CNN and MSNBC are for the left, as far as conservatives are concerned. To be fair, when a Democrat is in the White House, the networks switch places, with Fox News criticizing every move, and MSNBC and CNN defending the Oval Office fortress. Along with defending Trump, Fox News hosts such as Tucker Carlson, Laura Ingraham and, especially, Sean Hannity have been slammed for spending nearly two years clamoring for an investigation of the investigators, aligning themselves with the president's claim of a politically motivated witch hunt. Most of the media portrayed such accusations as preposterous, designed merely to divert attention from Trump's alleged misdeeds. But then comes Attorney General William Barr, dropping a bombshell last week by declaring during congressional testimony that he thinks "spying did occur" on the Trump campaign in 2016, and that he is looking into it. Democrats and many in the media immediately blasted Barr for carrying Trump's water. Barr soon clarified his remarks, saying, "I am not saying that improper surveillance occurred. I'm saying that I am concerned about it and looking into it." Just three weeks ago, before Mueller wrapped up his report, The Washington Post - in a story representative of mainstream sources at the time - produced a mostly flattering profile of the new attorney general. "A Justice Department official told The Washington Post last month that Barr is viewed at the department as 'a lawyer's lawyer' and is seen as less politically minded than his predecessors," the story noted. Timothy Flanigan, a former Barr colleague at the Justice Department, described Barr's independent streak, saying, "If Bill starts getting the tweet treatment, Bill is a tough guy. He's a tough, tough guy. Not that Jeff Sessions wasn't, but I don't think Bill's just going to sit there and take it. I think he would make sure that the president understood that it is not really a smart thing to be lambasting the attorney general." 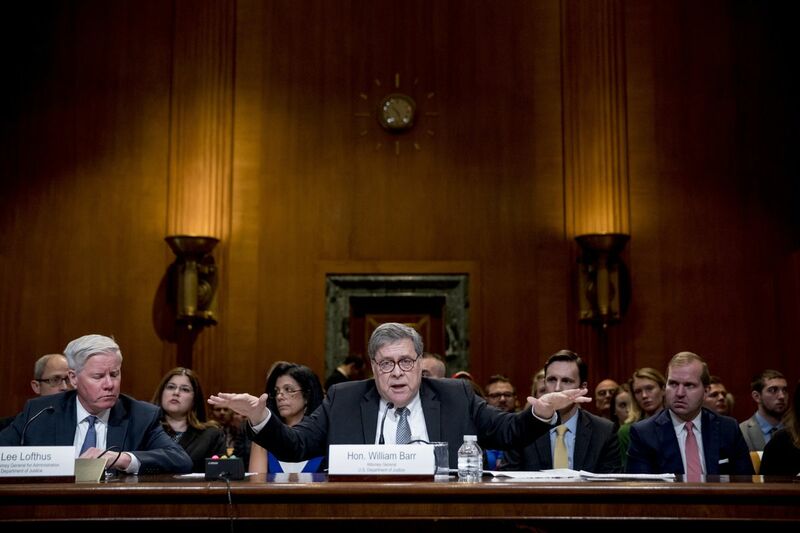 Now, Barr is being cast by the liberal cable channels and others as an unscrupulous political hack attached to the president's leash. On CBS's "60 Minutes" on Sunday, House Speaker Nancy Pelosi, D-Calif., said that Barr "may be whitewashing" his summary of the report. Such accusations represent an unlikely turn of events for a 68-year-old professional with an impeccable record and a career more behind him than in front of him. For Fox News devotees in southern Ohio and other Trump strongholds, nothing from the Mueller investigation has provided cause to waver from their preferred news source. Meanwhile, even regular viewers of CNN and MSNBC must certainly recognize the straws being grasped to justify sticking with a conspiracy theory that has been largely debunked - although the expected release of Mueller's report this week will probably provide just enough juice for one last effort. After two years of conjecture from all sides, some hard truths have emerged. Russia did try to influence the 2016 election. Neither Trump nor his campaign conspired with Russia. The president's actions did not rise to criminal obstruction of justice. And how and why this all began may well turn out to be the most troubling story of all. During his confirmation hearing in January, Barr told senators, "I am not going to do anything that I think is wrong, and I will not be bullied into doing anything I think is wrong. By anybody. Whether it be editorial boards, or Congress or the president. I'm going to do what I think is right." Observers at the time took Barr's comments as reassurance of his independence from Trump, but in hindsight it should be noted that he mentioned editorial boards and Congress first. Barr’s career does not paint a portrait of someone who chases tin-foil-hat conspiracies. There’s enough evidence in the public record to raise valid suspicions that the FBI’s investigation of the Trump campaign was motivated not by real concerns about national security, but rather by a loathing of the candidate. And though new facts may emerge in the full, redacted report, they won’t change the larger truth. It would behoove serious journalists to put aside their political biases and delve into a story that might actually be worthy of Watergate comparisons - even if it includes the painful admission that Fox News has been right all along. Gary Abernathy, a contributing columnist for The Washington Post, is a freelance writer based in Hillsboro, Ohio. After spending 13 years as an editor at three Ohio newspapers, he worked in Republican Party politics in Ohio and West Virginia. Until July 2018 he was publisher and editor of the (Hillsboro, Ohio) Times-Gazette.